ing hike a few weeks earlier. We had no expectations of breaking records; only completing the hike in 24 hours. It became the impetus for completing my first 900 miler. A complete account of it, plus Brian’s excellent post of this hike can be found on our blog: www.leconte24.com. The goal this time was to cut a couple hours off our time of 22 hours. Brian redesigned our route to minimize shuttles between trailheads and optimize elevation gain in our favor. 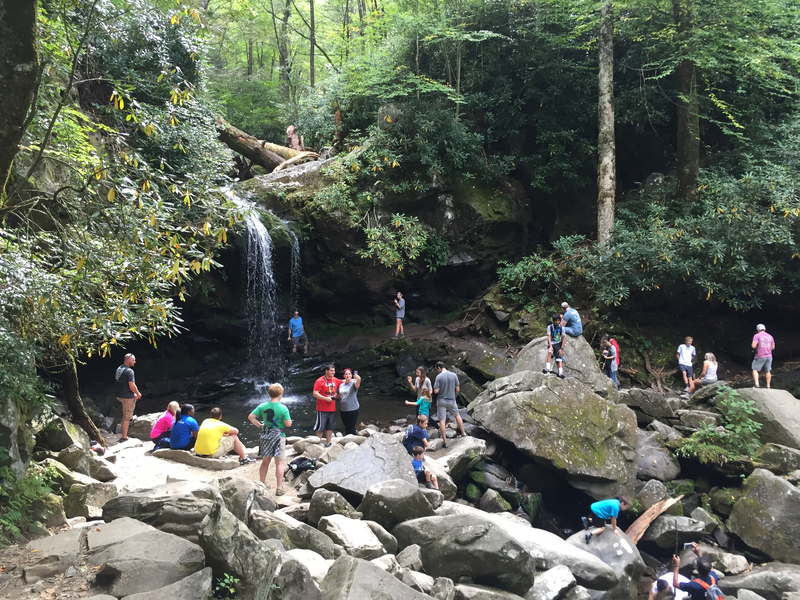 The new route: Up Rainbow Falls, down Trillium Gap; up Bull Head, down Alum Cave; shuttle to Newfound Gap; up Boulevard, down Trillium Gap/Brushy Mtn. This time, rather than starting at midnight, we chose to begin in the morning after a good night’s sleep. We dropped my vehicle off in Greenbriar where we planned to end the hike around 5:30 the next morning. The hike to Rainbow Falls was pleasant. We targeted a 2.5 mph pace but actually had a hard time keeping it under 3. The time was spent catching up on our lives and greeting other hikers we passed. Rainbow Falls flowed barely more than a trickle here in mid-September. We stopped for a quick pic and moved on. We got to the top in about 2:44, 2.45 miles per hour which was right on target. Time for some food and water then on to Trillium Gap. Finding the Trillium Gap trail at the top of LeConte can be a challenge because it’s kind of hidden in tall plant growth off to the side of the cabins. Brian went right to it though and we were off. Trillium Gap is pretty rocky most of the way. It’s also the route the llamas take when they resupply the lodge. 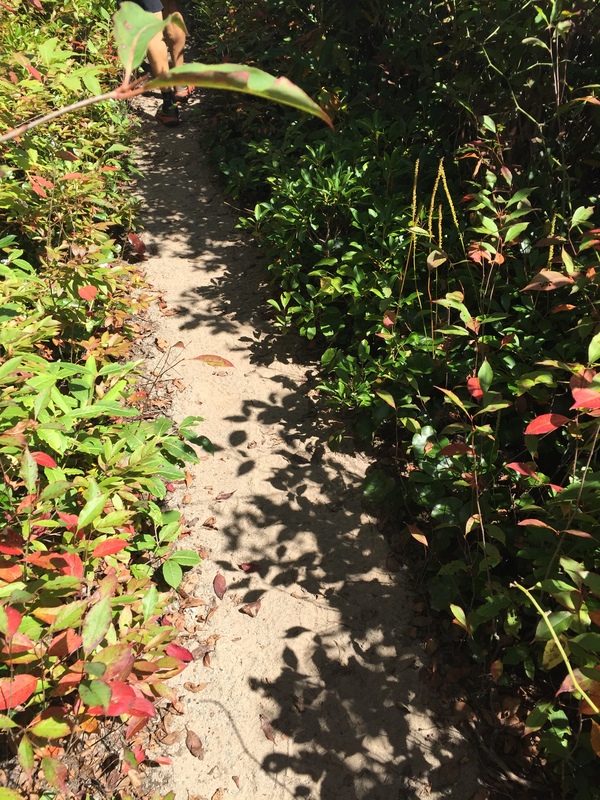 The Park Service installed several step sections to control erosion but they are not a smoother alternative to trail. This will become challenging later in the hike but with fresh legs, we descended steadily to the junction with Brushy Mtn. Here we had a decision to make. The last time we did this, we passed on the spur trail to the summit of Brushy Mtn. It was not on the agenda for hiking the trails up LeConte. However, it IS on the official park map so that means a 900 miler has to hike it. This decision caused me to have to do an 18 mile hike later in order to complete the 0.4 mile section to the summit of Brushy Mtn. Although it was an additional 0.8 miles, Brian was gracious to head off on the spur trail with me. The effort was rewarded with some of the most incredible views we would have that day. Brushy Mtn. is a bald, although the prodigious plant growth is worthy of the mountain’s name. The only other time I was in this place, it was socked in and there were no views whatsoever. The trail just ends at the top, kind of like a cul-de-sac. We were up and down within 20 minutes and ready to continue down Trillium Gap. Grotto Falls was a popular spot with dozens of people playing in the water and taking pictures. A line formed on the trail at the edge of the waterfall as people wanted their picture taken behind it. It’s good to see kids hiking and enjoying the park. Nervous parents try to make sure the children don’t slip on the rocks. Eventually we got to the parking area and the trail turned to follow the road back to the Rainbow Falls trailhead. We debated whether or not this section of trail was official Trillium Gap Trail or just a connector. My mind went back to thinking about how we could have bypassed it but that was wishful thinking. At the trail head, the official milage included that section. Oh, well. At least the effort wasn’t lost. 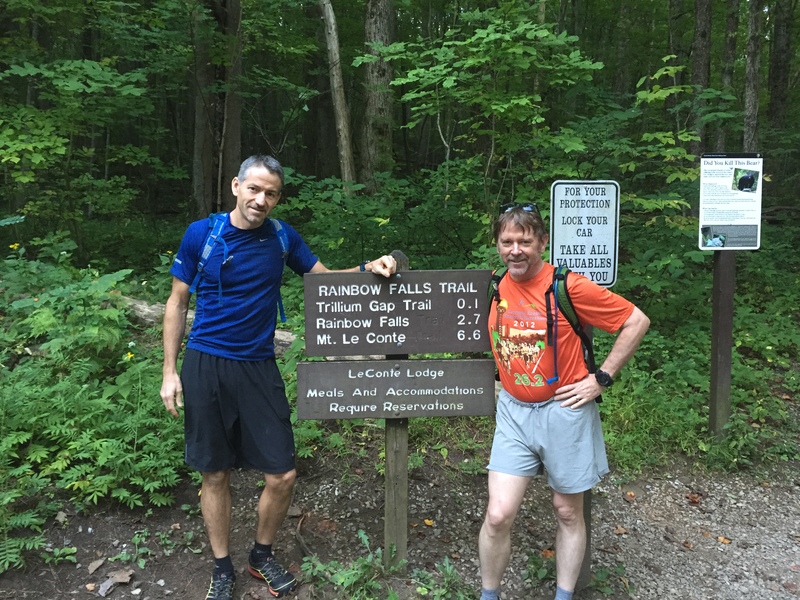 The 8.9 mile descent took 3:15 including the spur trail to Brushy Mtn. at an average of 2.7 mph. Right on schedule! Time for lunch! This entry was posted in Trail Log and tagged Brushy Mtn., Grotto Falls, Mt. 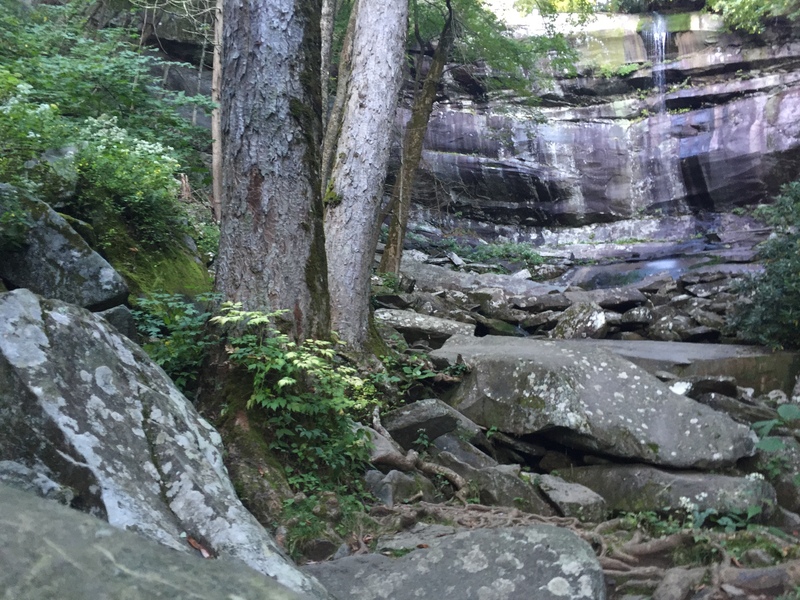 LeConte, Rainbow Falls, Trillium Gap on September 23, 2015 by blogginggazelle.